One of my often repeated bits of advice is to look for family history clues in your own closet. One way to achieve that is digitize what you have in your family heirloom collection. I recently discovered that I had my mom's original birth and marriage certificates in an envelope that I saved from her personal belongings. 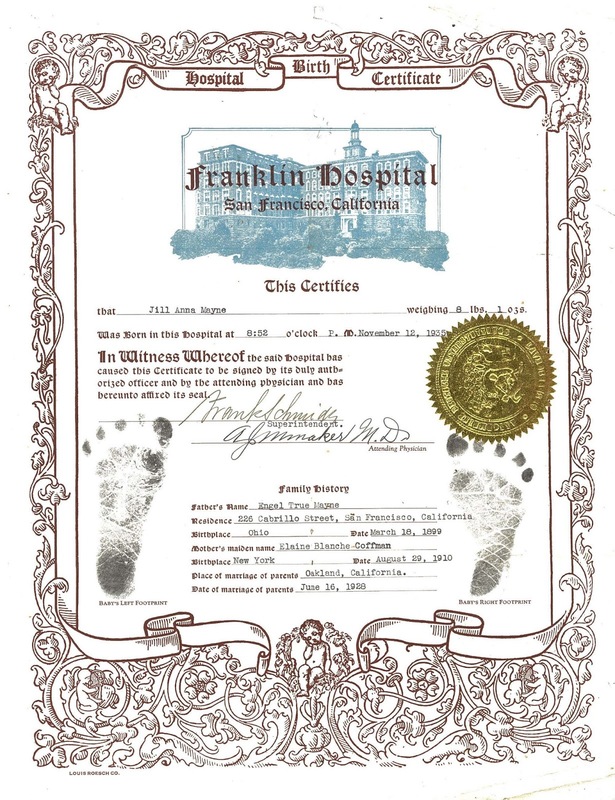 What amazed me is that I do not ever recall seeing her original hospital birth certificate. The little footprints are the cutest! 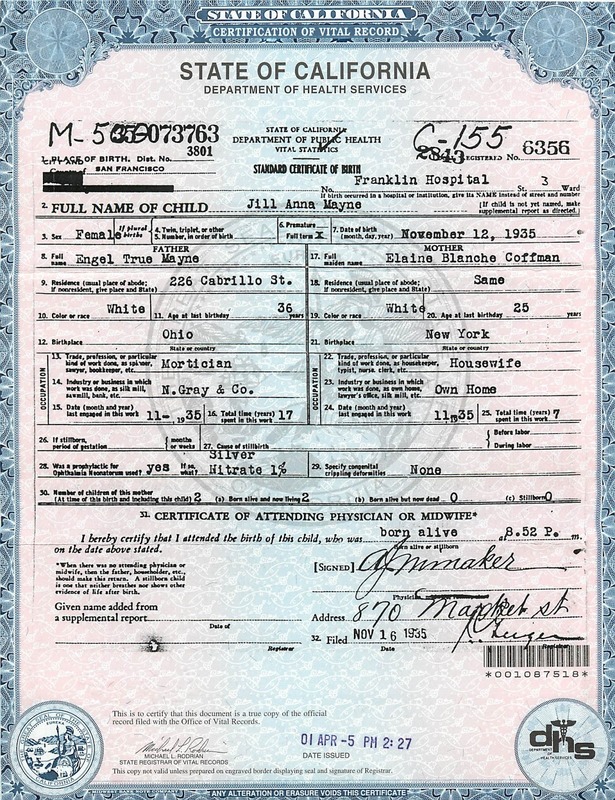 The family history part of the certificate is very informative. I have all of this information from oral history and other documents but it is fun to see it all recorded so thoroughly. Mom had stuffed several other documents in the same envelope. 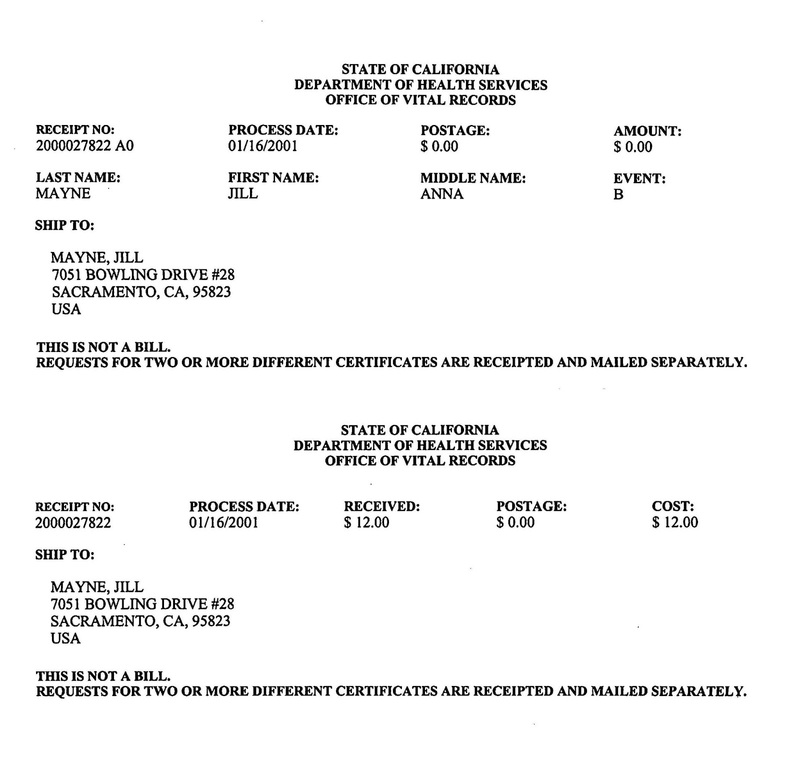 It is interesting to compare the hospital certificate with the information recorded by the State of California. The most striking thing is that my grandfather's occupation is clearly stated as Mortician for N. Gray & Company. The other notable fact that I found a bit odd was that the birth certificate recorded that silver nitrate had been put into the baby's eyes. 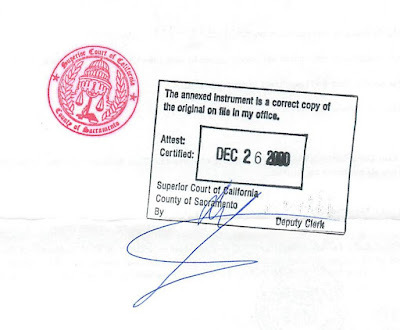 Apparently this was a requirement of California law that physicians put the silver nitrate solution in the baby's eyes and record it on the birth certificate. 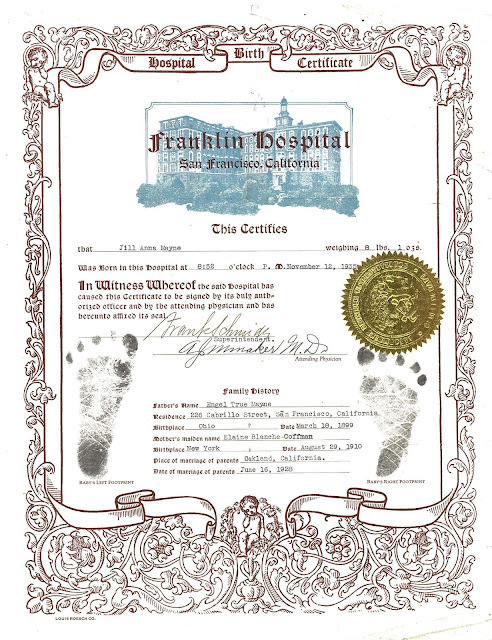 Mom even saved the receipt for the birth certificate which she requested in 2001. 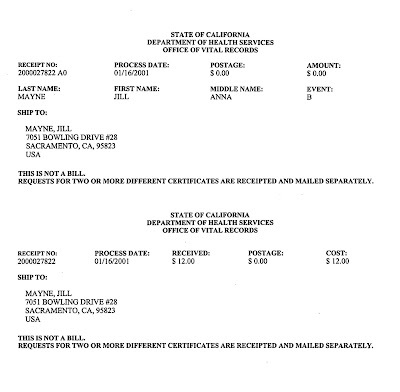 This is actually interesting to note and it gives her residence address at that date. 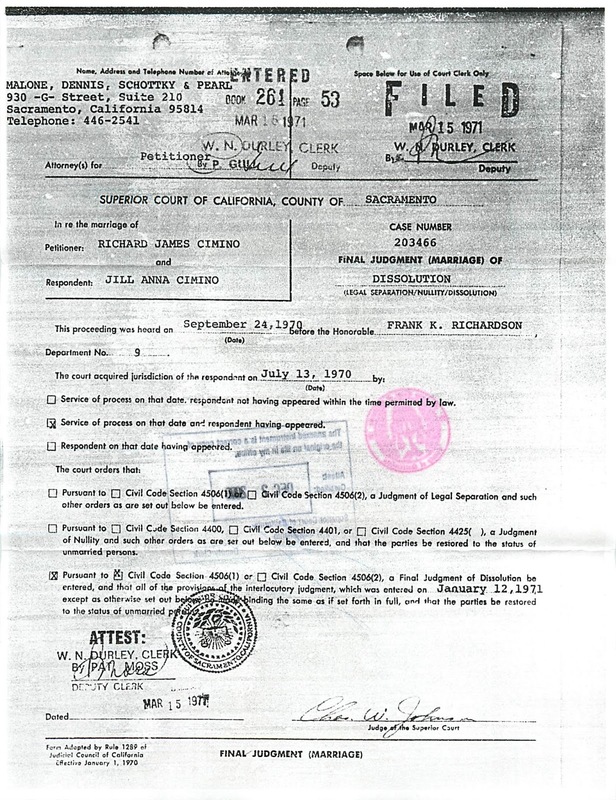 Mom also saved her divorce decree in the same envelope with her two birth certificates. She went back to her maiden name, Jill Anna Mayne after the divorce. Based on the date, she probably gathered all of these documents together to file for Social Security when she reached age 66 in 2001. It is always helpful to scan both sides of documents and photographs because the backs often contain useful information. My new commitment is to scan, photograph and preserve all of these documents and heirlooms that I have acquired over the course of my 27 years of family history research. It is a bit daunting for me but is better than seeing it all thrown out after I am gone. I advise you to do the same. Preserve the information hidden in your closets for the future generations and to share with your family today!